Revamp your dining room's look and feel thanks in part to a top-notch dining table � the Preston Dining Table. 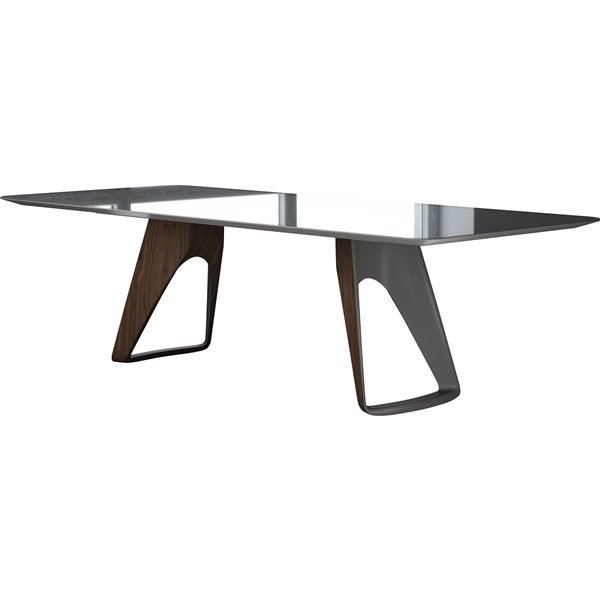 With its crystal clear, ultra-thin glass top, the dining table offers ample space for up to 10 guests. Plus, the dining table features a metallic painted surface that will maintain its appearance for years to come, along with deep, rounded legs that provide consistent support. Pick up a standout dining table that is constructed to last with the Preston Dining Table. Crystal clear, ultra-thin glass top is both sophisticated and versatile. Metallic painted base further enhances the dining table's visual appeal. Deep, rounded legs add a hint of elegance to the dining table's overall appearance. Dining table offers ample space for up to 10 people.